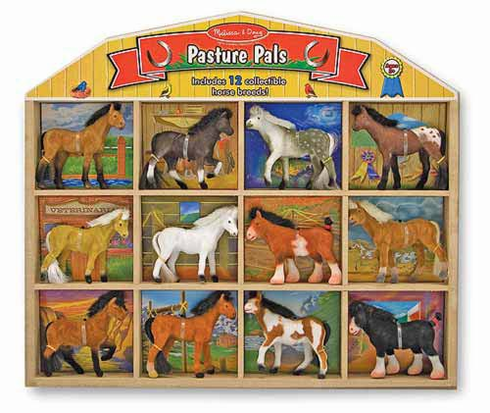 These 12 different horses feature velvety texturing, plus realistic manes and tails! Each horse stores in its own compartment in the wooden, barn-shaped crate. An informative identification key is included.